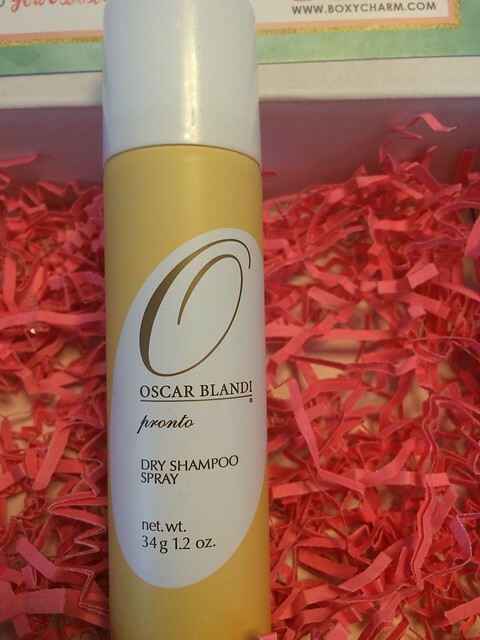 -Oscar Blandi Dry Shampoo. $11. Travel Size. I’m very excited to try this. 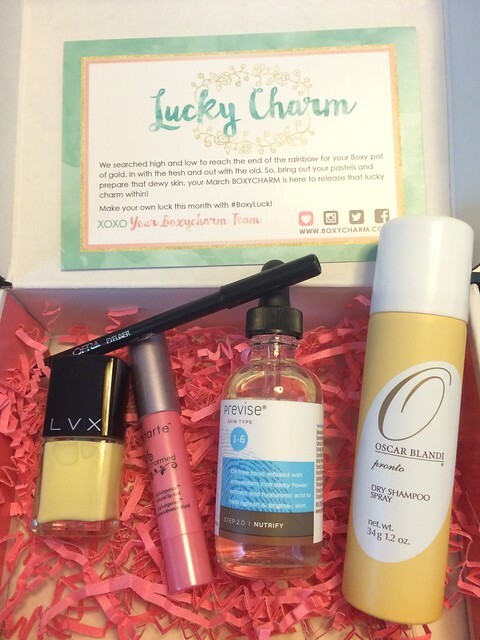 I’ve heard so much about how amazing Oscar Blandi products are and I love a good dry shampoo! 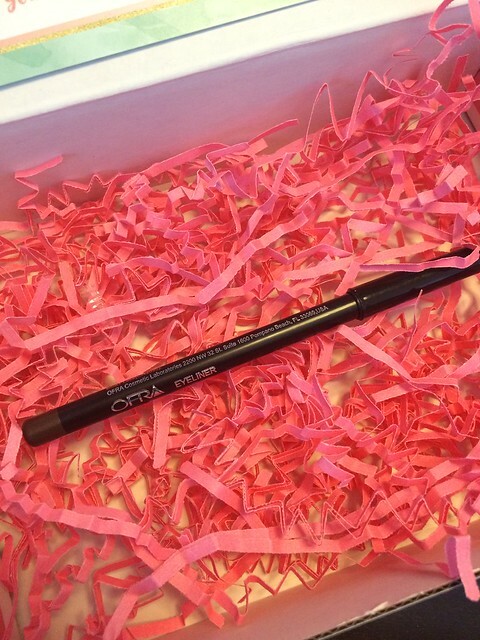 -OFRA Eyeliner in Coffee Bean. $13. Full Size. This is a water resistant pencil in a pretty dark brown. 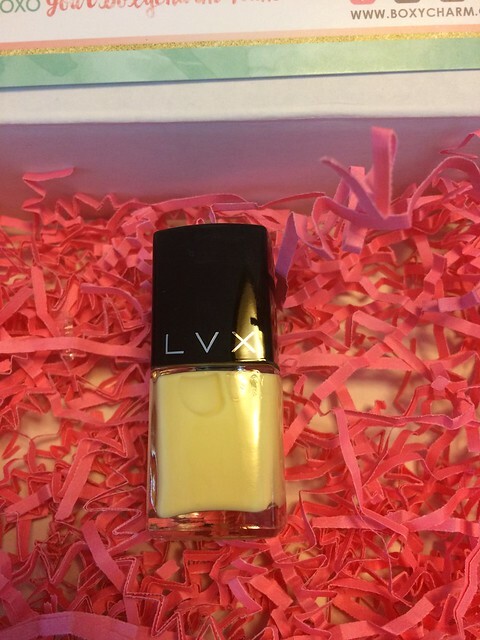 -LVX Nail Lacquer in Lemondrop. $16. Full Size. I am in LOVE with this sunny yellow polish! 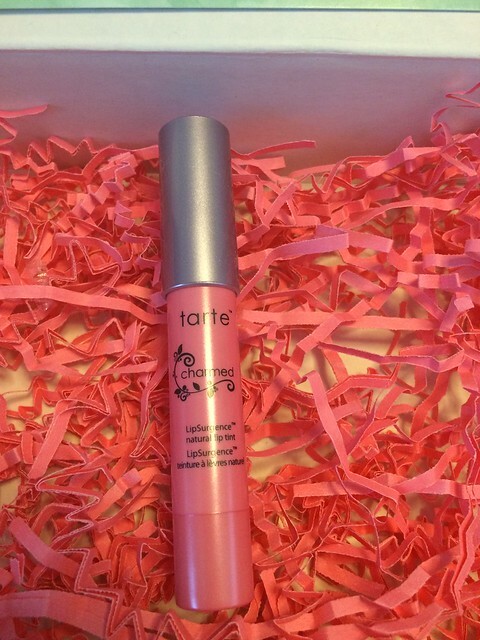 -tarte LipSurgence lip tint in Charmed. $24. Full Size. This is a really pretty pale pink. It’s a creamy balm. Perfect for Spring! 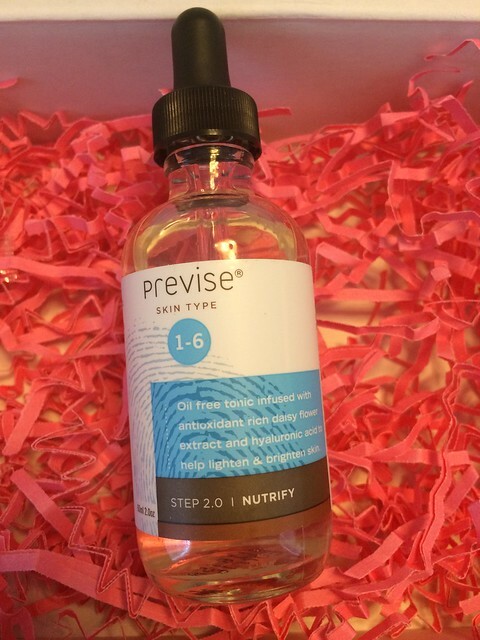 -Previse Nutrify Skin Type 1-6 Universal Tonic. $48. Full Size. This is a skin oil that you apply after cleaning your face. It hydrates your skin and fights free radicals. I’m really excited to try this as my skin tends to be really dry.